Prevention • Quagga and zebra mussels are the two largest perceived threats in Utah. If only all invasive species arrived in such prominent and easily detectable fashion, the work of biologists in Utah, and around the country, would be much easier. Among the sessions listed for the Western Regional Panel on Aquatic Nuisance Species, slated for Sept. 5-7 in Salt Lake City, is one titled "Japan's Tsunami Debris." The issue of aquatic nuisance species  referred to as aquatic invasive species (AIS) in Utah  made national and international headlines this summer when a 65-foot dock freed from its anchors in Japan by the tsunami in March 2011 washed up on the beach in Newport, Ore. Biologists inspected the dock and found about two tons of sea life attached. The dock was eventually scraped, the creatures buried and a blowtorch used to make sure everything was dead. "Events like that are rare, but they do happen," said Larry Dalton, AIS coordinator for the Utah Division of Wildlife Resources (DWR). "If the invasive species survived that kind of trip, it gives you an idea of what we are up against." 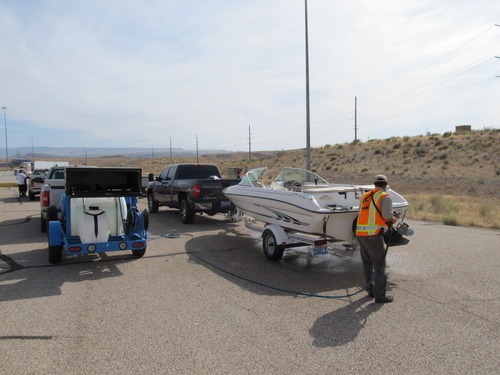 Utah, in its efforts against primarily the quagga and zebra mussels, boasts one of the most aggressive and better funded AIS programs in the western United States. That made the state a solid choice for the 2012 meeting, said Leah Elwell, coordinator of the meeting and program director for the Invasive Species Action Network. "Salt Lake is a central location for the inland interests," Elwell said, "and the Utah Division of Wildlife Resources, in addition to being known for a proactive approach, also offered a lot of logistical help for the meeting." Representatives from 19 states and several Canadian provinces have registered for the meeting. Dalton is eager to learn more about ways to inform the public about the threats of aquatic invasive species, how to prevent the spread of the invaders and what to do when it does happen. Dalton is pleased that Utah has taken such an aggressive approach to managing such species. "The cost of having them goes way beyond the impacts of water distribution and other utilities. They ruin recreational activities. Once infested, there are million upon millions of them. With a high mortality rate, their shells litter beaches. They are particularly smelly and sharp. 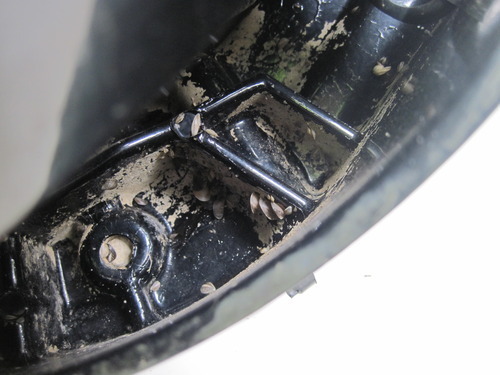 Boat owners should be worried because they plug little teeny circulation hoses used to keep motors cooled," Dalton said. "Throwing your arms up and saying, 'We got them and that is just another problem in life,' is a fool's approach. We have beat them back with a proactive scheme, and we manage so the few we do get won't have the strength to continue." Utah is the nation's second driest state, but has more than 6,000 miles of canals and pipelines to move water, and the cost of an infestation would be high. That cost, Dalton said, is often passed on to consumers in the form of utility bills. Recognizing that trend, the Utah Legislature funds the AIS program through DWR with $1.35 million annually. A staff of around 80 monitor boat-launching ramps across the state, prepared to conduct high-pressure, hot water decontaminations on boats that have floated in mussel-infected waters. 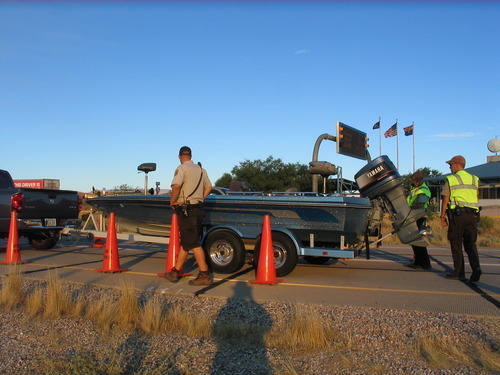 "Based on state parks and recreation surveys, there are about 600,000 boat launches a year. We are checking 400,000, and we feel good about that," Dalton said. 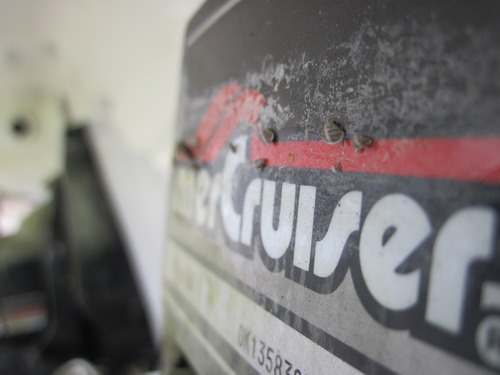 "Boaters tell us in surveys that 97 percent of them know about the aquatic invasive risk and 84 to 87 percent of them say they actually decontaminate after each trip." It must be working. Samples collected around the state by DWR so far in 2012 have come back negative for quagga and zebra mussels, the two largest perceived threats in Utah. 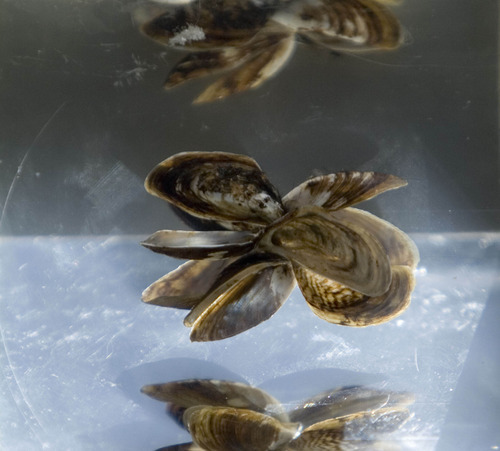 The Bureau of Reclamation did turn up a positive for the DNA of a quagga mussel in a Glen Canyon Dam penstock at Lake Powell in April, but Dalton said that does not mean there is an infestation at the massive reservoir on the Utah-Arizona border. "It could simply be a bird that ate a mussel somewhere else and defecated the mussel at Powell. That is enough to show DNA. It is alarming and it does make you perk up and pay attention," he said. "That's why we continue sampling." 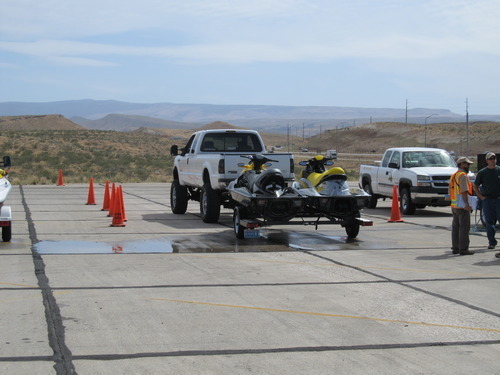 Powell attracts a huge number of recreational boaters and anglers and its proximity to Nevada's Lake Mead, an exotic mussel hot spot, places it high on the radar. "We find about 20 boats a year in Utah with mussels attached," Dalton said, "and 15 or 16 are found at Lake Powell." 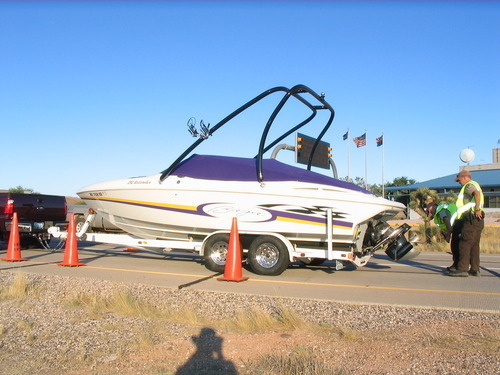 The National Park Service requires all boaters to go through a check station before launching at Powell. Boaters who don't do it are fined. Dalton said there are two levels of fines at Powell  boaters who simply fail to go through the checkpoint and boaters who avoid it with intent. He said there are generally 250 to 300 of the first category and those usually end up as a $75 fine. "There are generally half a dozen of the hefty fines [up to $5,000] each year," he said. 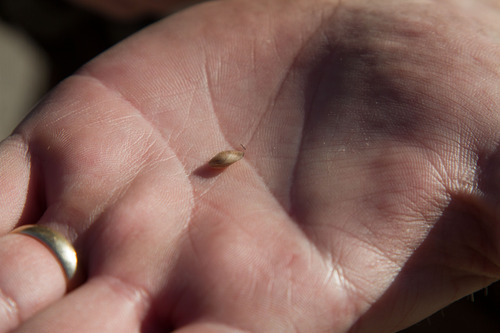 Other Utah waters  namely Sand Hollow Reservoir near St. George  have shown indications of mussels in recent years, but populations have never taken hold and biologists hope it never happens. The conference, which is open to the public, is being held at the Downtown Hilton. Because better education is the key to preventing the spread of aquatic invasive species, Dalton encourages the public to take advantage of the opportunity to hear from some of the leading researchers and biologists on the issue. There is no registration fee. Decontamination is the only way to stop the spread of mussels. It does not harm your boat. 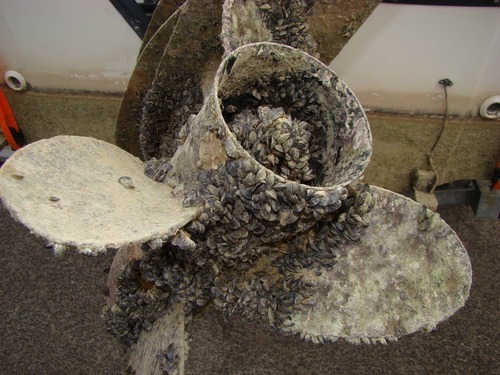 It can actually prevent damage to your boat by removing mussels that would clog pumps and hoses. 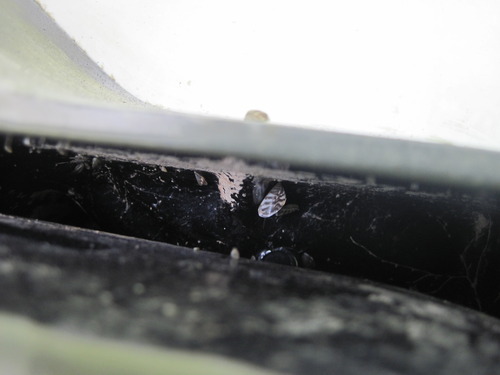 Clean mud, plants, animals or other debris from your boat and equipment. Drain the ballast tanks, bilge, livewells and motor. Dry (seven days summer, 18 days spring/fall and 30 days in the winter) or freeze (three days). 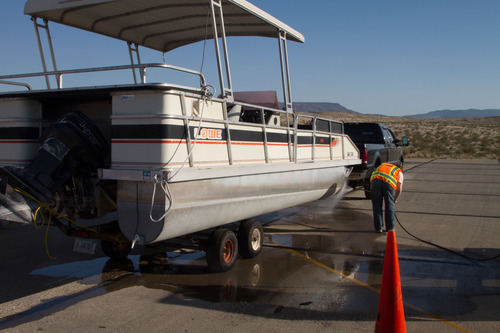 Professional decontamination  generally a free service  is available at many Utah waters. 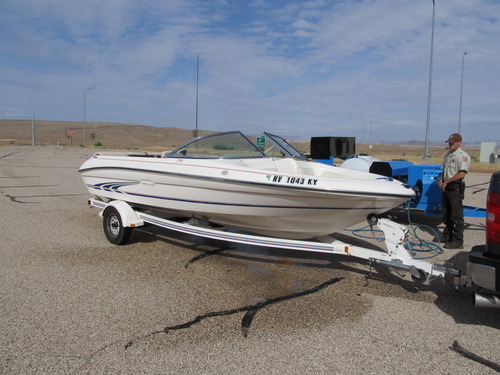 Certified personnel will wash your trailer and boat  flushing your ballast tanks, bilge, livewells and motor with high-pressure, scalding (140° F) water. This does not harm your boat.